How does TMJ disorder occur? 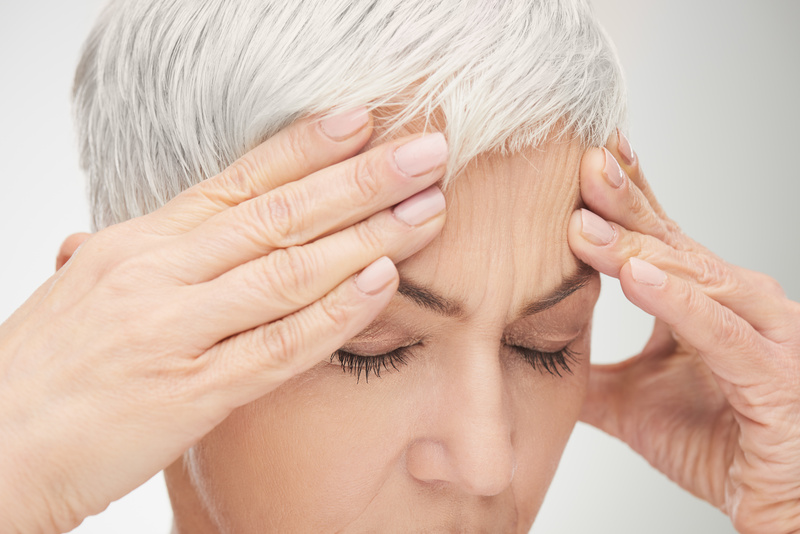 The disorder develops when a problem puts intensive pressure on the temporomandibular joints, which connect the jaw to the skull and controls the actions needed to eat and speak. Tooth loss could cause this pressure, as well as stress in you daily life and untreated bruxism (teeth grinding). Other factors include misalignment, bite imbalance, and injury to the face or jaw. Understanding the cause of your TMD is vital for selecting the most appropriate treatment option. How do you know if you need care? Well, patients we’ve treated report a wide array of uncomfortable symptoms, one of the most common being a persistent head pain or migraine. Other warning signs include soreness or pain in the jaw or face, aches in the neck or shoulders, or a popping or clicking sensation in the jaw. If one or more of these warning signs applies to your experience, then please let us know. We will examine the wear and friction on your teeth, and use advanced technology to look at your jaw joints and oral structures. From there, we can choose a treatment options to help address your TMJ troubles. Since TMJ dysfunction has a number of different causes and symptoms, there are a number of different treatment options. For example, we may recommend medication, physical therapy (such as muscle exercises that target the jaw and facial muscles), dental restorations, and in extreme cases, oral surgery. However, the most common treatment option is a mouth guard. We create a custom-made oral appliance, which is worn as you sleep. The device actually repositions the jaw to ease pressure and prevent TMJ symptoms, including headaches! If you have any questions about treating TMD, or if you think you should undergo a consultation and diagnosis, then contact our team today. Don’t live with dental discomfort, talk to us today about possible migraines and oral pain solutions. If you have pain in your head, face, or jaw, then you may benefit from preventive treatment. For more information on our TMD solutions, schedule a consultation by calling Modern Smile in North Hollywood, CA, today at 818-763-9353. We also proudly serve patients who live in Burbank, Toluca Lake, and all surrounding communities.